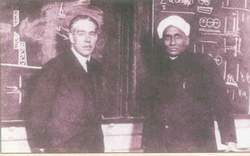 Sir CV Raman, (7 November 1888 – 21 November 1970) was an Indian physicist. He was the recipient of the Nobel Prize for Physics in 1930 for the discovery that when light traverses a transparent material, some of the light that is deflected changes in wavelength. This phenomenon is now called Raman scattering and is the result of the Raman effect. In 1954, he was honoured with the highest civilian award in India, the Bharat Ratna. 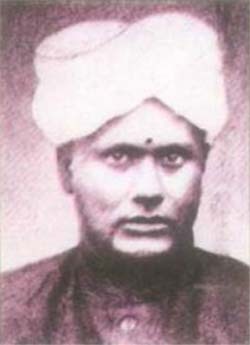 Chandrasekhara Venkata Raman was born to a Tamil family in Thiruvanaikaval, Trichinopoly, present-day Tiruchirapalli, Madras Presidency, in British India to Parvati Amma. His father Chandrasekhara Iyer was a school teacher. Chandrasekhara Iyer and Parvati Amma had 8 children: 5 sons and 3 daughtors. Venkat Raman was the second child. 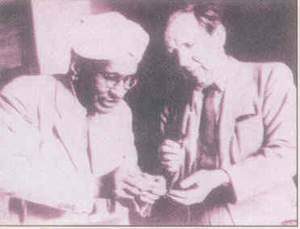 When CV Raman was 3 year’s old, Raman moved to the city of Vizag, Andhra Pradesh. Studied in St. Aloysius Anglo-Indian High School. Raman matriculated at his age of 11. His father was a lecturer in Mathematics and physics at Presidency College (Madras) which Raman entered in 1902 at the age of 13. His father had procured an excellent collection of books on Physics, Mathematics and Philosophy. Chandrasekhara Iyer was a great lover of music, and played the violin extremely well. At 15, he passed his B.A. examination in first place and got gold medals for Physics and for English. He passed his M.A. examination in 1907, at his age of 19 with the highest distinctions. Being so young, it would surprise even his teachers to believe that this inconspicuous child could be a college student at all. 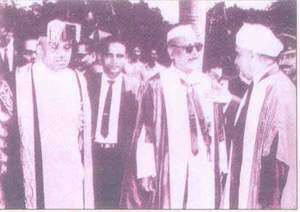 His Professors in the Presidency College found him to be so knowledgeable, that they recognized that Raman did not need class-room instructions, and they exempted him from attending all science classes. When Raman completed his B.A. education, it was suggested that he go to England for further studies. Raman did not go, however, since the Civil Surgeon of Madras did not find him to be physically fit to go to England. Raman did not regret it. In fact, he later said that he felt grateful to the Civil Surgeon for being responsible for him to stay back in India. Subsequently, after he completed his M.A., he took the Civil Services competitive exam for the Finance Department. Sure enough, he topped the score in that exam. CV Raman was an extra-ordinary observer. At 16, while doing a routine experiment on his college spectrometer, he observed some diffraction bands. We all do these experiments, but rarely does anybody observes the findings critically, investigate the data, and analyze the same thoroughly. 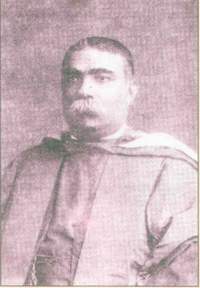 Raman’s observations in that routine experiment constituted the subject of his first research paper, which was published by one of the most prestigious scientific journals of that time, namely, the Philosophical Magazine. In the very same issue, he published yet another article on a totally different topic: a short note on a new method he devised to measure a liquid’s surface tension. Around that time, he saw a 13 years old girl playing a Thyagaraja Keerthana on the Veena. 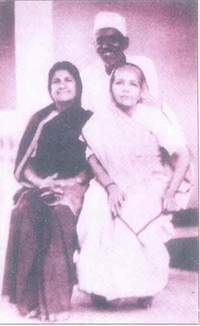 Against all conventions of that time, he arranged his marriage with her on 6 May 1907. 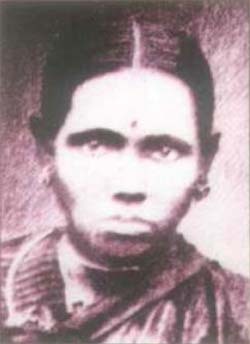 Her name was Lokasundari (1892-1980) with whom he had two sons, Chandrasekhar and Radhakrishnan. In 1907, when Raman was just over 18 years old, he along with his wife went to Calcutta to join the Finance Department there as Assistant Accountant General. 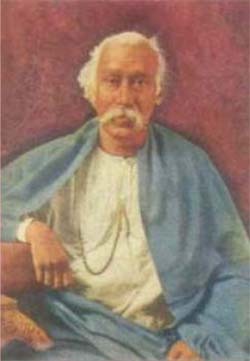 Within a week of his reaching Calcutta, he noticed, while he was on his way to work, a sign board which read “The Indian Association for Cultivation of Sciences”, and this was to play a major role in his life, and in the very history of scientific culture in the country. Where he first met an individual named Ashutosh Dey (Ashu Babu) who was to be Raman’s assistant for 25 years. 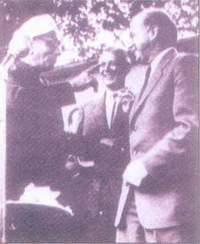 Ashu Babu took Raman to the Honorary Secretary of the Association, Amrit Lal Sircar, who was overjoyed when he came to know about Raman’s intention — to do research at the Association’s laboratory. 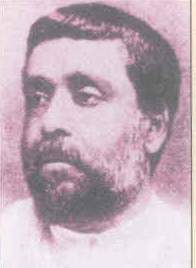 Amrit Lal had reason to be overjoyed because it was his father Mahendra Lal Sircar, a man of vision, who established the Association in 1876. A few weeks before death of Mahendra Lal had stated his wish in the following words : “Younger men must come and step into my place and make this into a great institution.” So when Amrit Lal Sircar saw Raman, perhaps he felt that he (Raman) would realise his father’s dream. And as we know today Raman indeed realised Mahendra Lal Sircar’s dream. There was an interruption to Raman’s work at the Association. 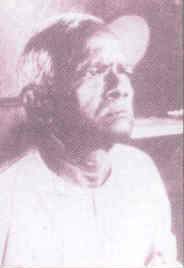 He was transferred to Rangoon (1909) and Nagpur (1910). However, Raman’s research work was not completely stopped. 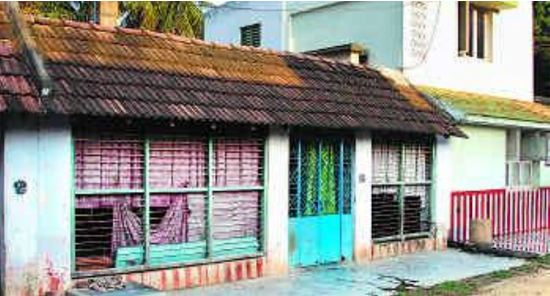 At both places he converted his home into a laboratory and continued his work. He came back to Calcutta in 1911.
to supervise the laboratory in the College of Science. CV Raman was elected as a Fellow of the Royal Society of London in 1924 in recognition of his outstanding researches in physical optics, molecular diffraction of light, X-ray scattering by liquids and a molecular anisotropy. It may be noted that Raman had resigned the Fellowship of the Royal Society. On February 28, 1928, through his experiments on the scattering of light, he discovered the Raman effect. It was instantly clear that this discovery was of huge value. It gave further proof of the quantum nature of light. Raman spectroscopy came to be based on this phenomenon, and Ernest Rutherford referred to it in his presidential address to the Royal Society in 1929. 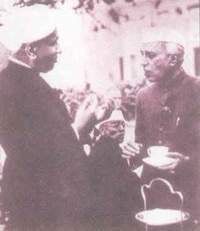 Raman was president of the 16th session of the Indian Science Congress in 1929. He was conferred a knighthood, and medals and honorary doctorates by various universities. Raman was confident of winning the Nobel Prize in Physics as well, and was disappointed when the Nobel Prize went to Richardson in 1928 and to de Broglie in 1929. He was so confident of winning the prize in 1930 that he booked tickets in July, even though the awards were to be announced in November, and would scan each day’s newspaper for announcement of the prize, tossing it away if it did not carry the news. He did eventually win the 1930 Nobel Prize in Physics “for his work on the scattering of light and for the discovery of the effect named after him”. He was the first Asian and first non-White to receive any Nobel Prize in the sciences. Before him Rabindranath Tagore (also Indian) had received the Nobel Prize for Literature in 1913. Till date Raman remains the only Indian to receive a Nobel Prize in science. There are two Indian-born scientists viz., Har Gobind Khorana and Subrahmanyan Chandrasekhar (who became US citizens) got Nobel Prizes in science. In 1924 he was elected as a Fellow of the Royal Society of London. In 1929 he was conferred a Knighthood by the British Government. in 1930 he was also awarded the Hughes Medal of the Royal Society of London. 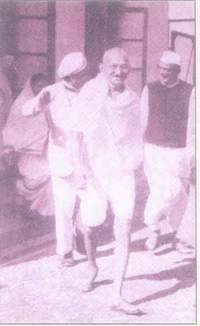 In 1954 the Government of India awarded him the title of “Bharat Ratna”. In 1957 Soviet Union honoured him with the International Lenin Prize. Raman’s interests in science were wide, from astronomy and meteorology to physiology. ‘Raman published 475 research papers and wrote five remarkable monographs on topics so varied that one’s mind boggles’. Raman made many major scientific discoveries in acoustics, ultrasonic, optics, magnetism and crystal physics. Raman’s works on the musical drums of India was epoch-making and it revealed the acoustical knowledge of the ancient Hindus. It may be noted here that it was Pythagoras who first formulated what makes a sound musical to the human ear. 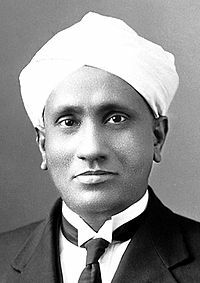 CV Raman and his student of Mim high school, provided the correct theoretical explanation for the acousto-optic effect (light scattering by sound waves), in a series of articles resulting in the celebrated Raman-Nath theory. Modulators, and switching systems based on this effect have enabled optical communication components based on laser systems. Raman developed a vibrant and excellent school of physics. He established the Indian Academy of Sciences Bangalore (1934) and the Raman Research Institute (1948). 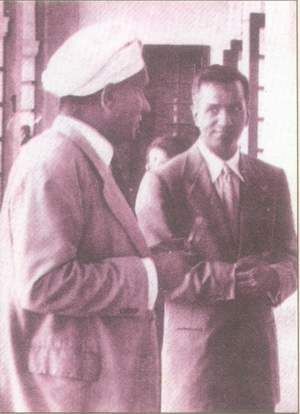 In 1934, Raman became the assistant director of the Indian Institute of Science in Bangalore, where two years later he continued as a professor of physics. Other investigations carried out by Raman were experimental and theoretical studies on the diffraction of light by acoustic waves of ultrasonic and hypersonic frequencies (published 1934-1942), and those on the effects produced by X-rays on infrared vibrations in crystals exposed to ordinary light. 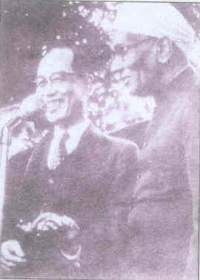 He also started a company called CV Chemical and Manufacturing Co. Ltd. in 1943 along with Dr. Krishnamurthy. The Company during its 60 year history, established four factories in Southern India. 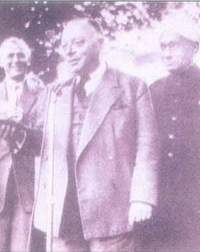 In 1947, he was appointed as the first National Professor by the new government of Independent India. In 1948, Raman, through studying the spectroscopic behavior of crystals, approached in a new manner fundamental problems of crystal dynamics. He dealt with the structure and properties of diamond, the structure and optical behavior of numerous iridescent substances (labradorite, pearly feldspar, agate, opal, and pearls). Among his other interests were the optics of colloids, electrical and magnetic anisotropy, and the physiology of human vision. After retirement from the Institute he concentrated his attention in building an institute of his own – the Raman Research Institute (RRI). Even before his retirement Raman had started to build an institute where he could retire and enjoy science. To quote Raman : “You know, I was to retire at 60. So two years before my retirement I started building this institute so that on the day I retired I took my bag and walked right into this institute. I can not remain idle for a single day”. Raman had to gather money for building the Institute. Raman had lost most of his life’s savings including his Nobel Prize money in an investment. The Institute was built on a ten acre plot of land gifted by the Maharajah of Mysore way back in 1934 the land of given to the Indian Academy of Sciences, and for its related activities. Raman traveled extensively for raising donation for constructing the building for housing the institute. When Raman moved to the institute the facilities were far from complete. Raman was opposed to the idea of taking grants from the government for running the institute. To earn money for the institute he started a few chemical industries (in association with one of his former students). The dividends from these industries were sufficient to support the institute to start with. He gifted away most of his personal properties to the Academy for the benefit of the institute, as also the Lenin Peace Prize money. A museum was built to house Raman’s collection of crystals, gems, minerals, rock specimens, shells, stuffed birds, butterflies and so on. 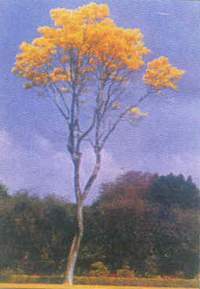 Raman had fascination for colours and so he collected everything that had colours. iii) to publish the proceedings. Unlike in other countries India has three Science Academies. Raman formed the Academy on his own. The need for an Academy was first highlighted by Raman in his editorial in Current Science published in May 1933. After writing the editorial Raman circulated a questionnaire among the Indian scientists to ascertain their views. 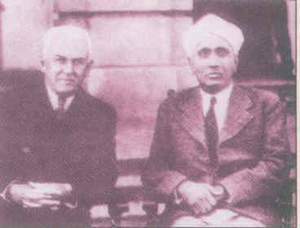 The idea of an Academy proposed by Raman was discussed in the 1934 Session of Indian Science Congress presided over by M.N. Saha, who supported the idea and proposed Royal Society of London as a model. After discussing the matter in a General Committee, it was referred to an Academic Committee consisting of 25 members including Raman. 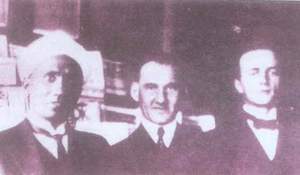 However, when the Academic Committee could not take a quick decision Raman resigned from the Committee and formed an Academy on his own. Towards the end of his life Raman chose to make himself a recluse. He not only built high walls around the Raman Research Institute but also put up a prominent signboard announcing that visitors were not welcome. He was not at all happy the way the Government was trying to build up science and technology in the country. “To Raman, scientific activity was the fulfillment of an inner need. His approach to science was one of passion, curiosity and simplicity. It was an attempt to understand. To him science was based on independent thought. Combined with hard work, science was a personal endeavour, an aesthetic pursuit and above all a joyous experience.” Raman believed that science can be promoted only by doing it. He did not see any role for professional organizers of science. “For such people” Raman thought “The So-called organization of science becomes more important than science itself or its values”. At the end of October he collapsed in his laboratory, the valves of his heart having given way. He was moved to hospital and the doctors gave him four hours to live. He survived and after a few days refused to stay in the hospital as he preferred to die in the gardens of his Institute surrounded by his flowers. Two days before Raman died, he told one of his former students, “Do not allow the journals of the Academy to die, for they are the sensitive indicators of the quality of science being done in the country and whether science is taking root in it or not.” That same evening, Raman met with the Board of Management of his Raman Research Institute and discussed (from his bed) with them any proceedings with regards to the Institute’s management. Raman died from natural causes early next morning on 21 November 1970.